Clump #135: Return to the world of blogging. My mom recently suffered a health crisis, so I have spent the last couple of days in a hospital. Most importantly, for now, she seems improved. Thank you to all the compassionate and generous people who have been holding her and us in the Light. Below is the coffee cup for Caribou Coffee served in the hospital cafeteria. 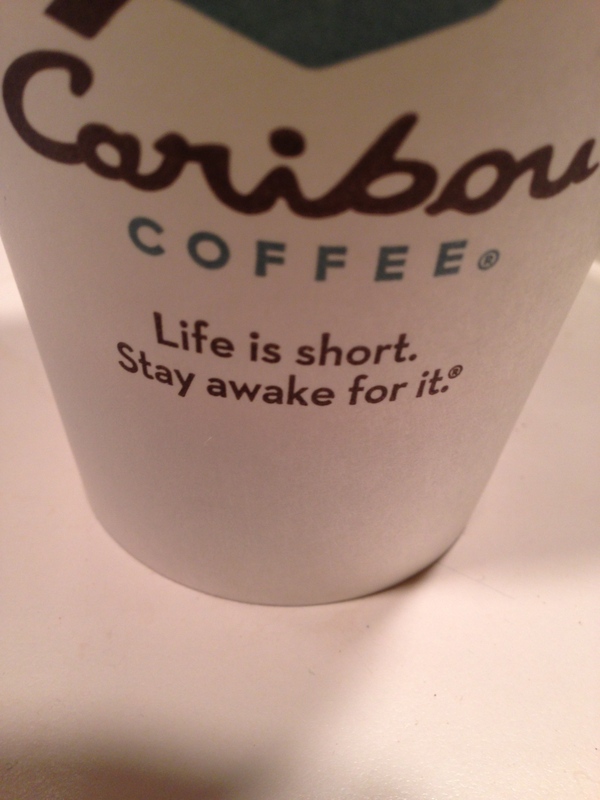 Thanks, Caribou, for your deep slogan, though a hospital setting is lesson enough in the shortness of life. I was thinking of a dear friend whose mother, after her own health crisis, said “I never realized how much we loved each other.” Sometimes it takes the specter of loss to awaken us to what we have. 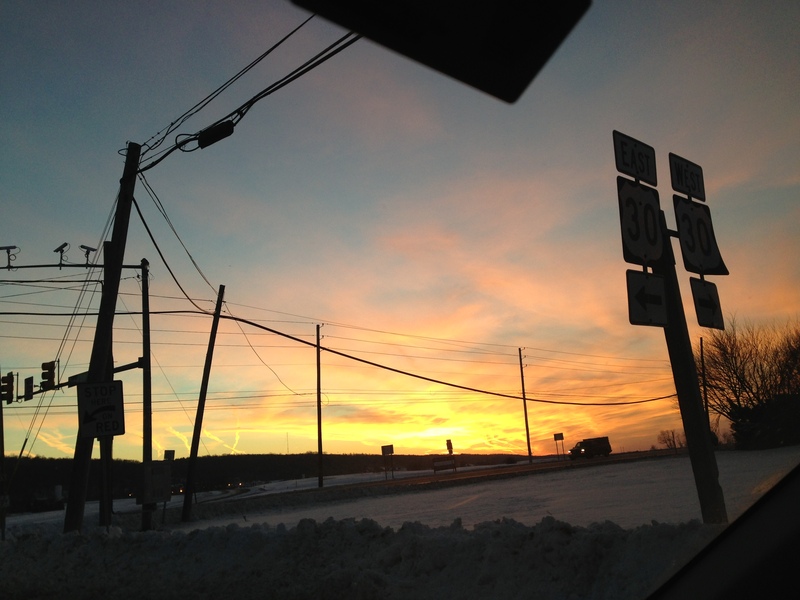 This was the view of the sunset last night from my car window on the way home from the hospital. In the light of profound emotions, this blog and clumping fell away completely. But it’s good to be back. I’m so glad that your mom is getting better! I really appreciate your care and concern!� Thank you. Thinking of you and your mom. I recall her as someone who never minded a 5th little girl hanging around the house…if it was time for mass,she just let me pick a hat to wear and away we all went.